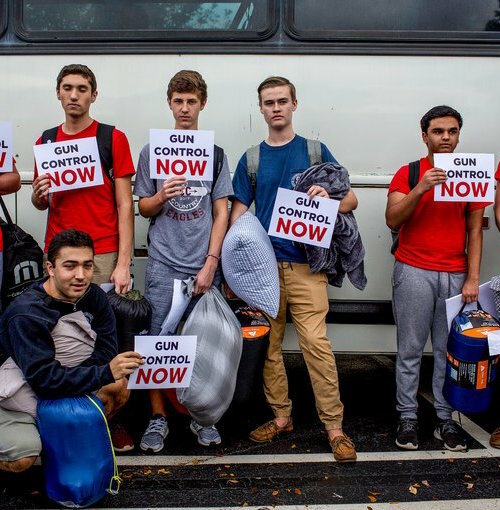 StoriesHome » What’s Happening » Does gun control suddenly have real momentum? By Aaron Blake for the Washington Post. 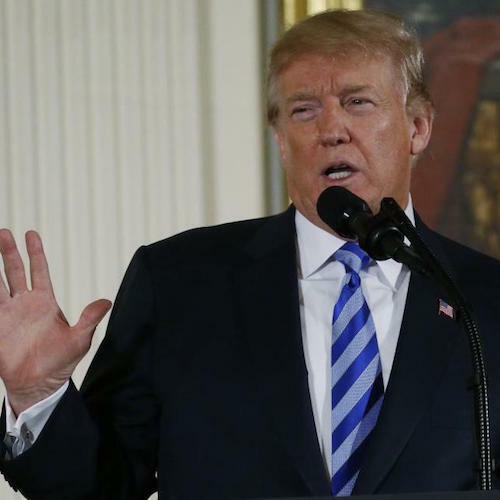 A new poll shows more Americans support stricter gun laws than at any point in the last 10 years, President Trump just told the Justice Department to draft regulations for so-called “bump stocks,” and the White House says Trump supports the concept of improving the federal background-checks system. 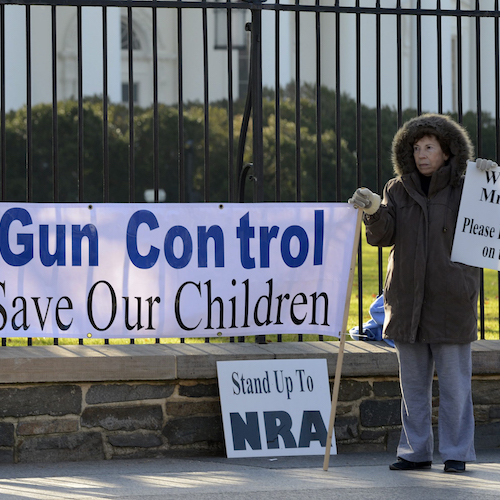 Does gun control suddenly have enough momentum to actually pass? There are reasons to be skeptical, but there are also reasons to think prospects are improving — albeit incrementally. And this new Quinnipiac University poll speaks to that. The poll shows 66 percent of Americans now support stricter gun laws — the highest that number has been since at least 2008. It’s also higher, notably, than it was in early 2013, just after the massacre at Sandy Hook Elementary School in Newtown, Conn. As recently as 2015, slightly more Americans opposed stricter gun control than supported it; today, support is more than double the opposition. The poll also shows an uptick in support for a ban on so-called “assault weapons.” Yet again, about two-thirds are in support (67 percent), while about 3 in 10 oppose (29 percent). In February 2013, 56 percent supported the assault weapons ban. The poll also finds a new high when it comes to the two-thirds who say it’s “too easy” to buy a gun (up from 55 percent in late 2015) and the number who think more guns would make us less safe (59 percent vs. 47 percent in late 2015). 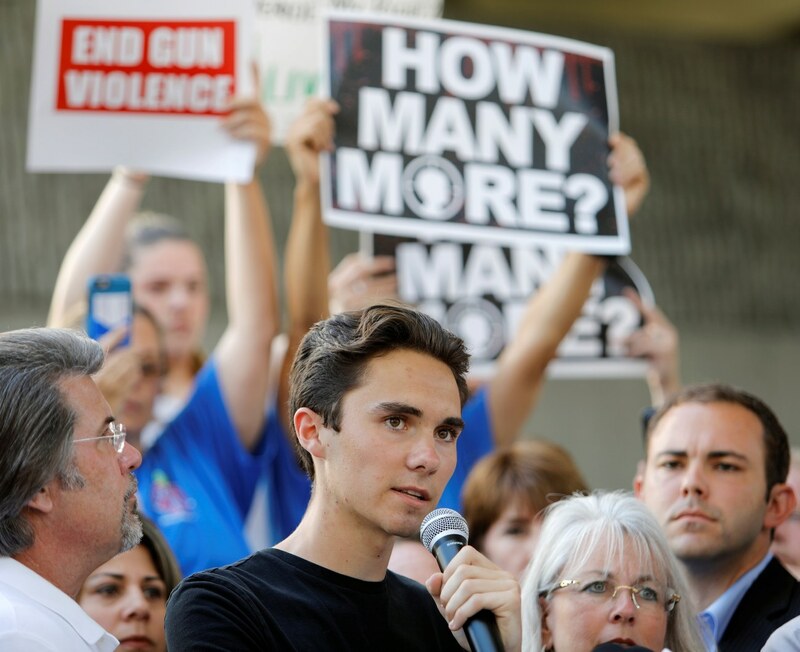 It’s one poll, but for a gun-control movement anxious to turn the tragedy in Parkland, Fla., into action to prevent further bloodshed, it suggests the political backdrop is more favorable than at any point in the past decade. Combine it with the White House’s verbal nods toward the debate and the staying power the Parkland high-schoolers’ calls for gun control have had in the media, and it suggests we may be breaking some new ground here. At the same time, the most serious impediments to gun control remain — and even the Quinnipiac poll shows them. As with The Washington Post/ABC News poll that came out earlier Tuesday, it shows Republicans have a far different prescription for preventing mass shootings than Democrats and even independents. Thirty-four percent of Republicans in the Q poll say they support stricter gun laws (60 percent oppose them), and 43 percent support the assault weapons ban. About 8 in 10 Republicans say they prefer metal detectors (41 percent) and armed teachers (38 percent) to stricter gun laws (9 percent) when it comes to preventing gun violence in schools.